Curing cross-eyes is play for youthful patients at a New York eye clinic, opened recently. 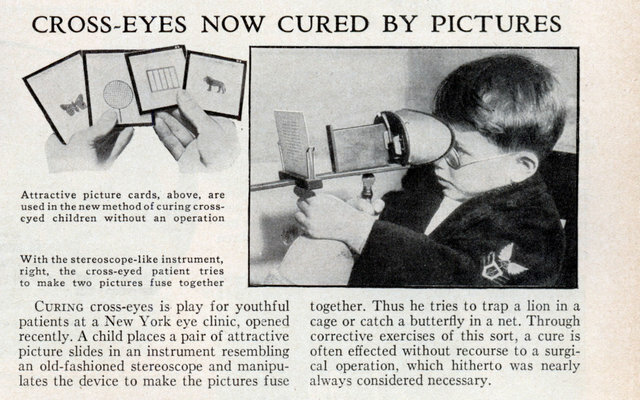 A child places a pair of attractive picture slides in an instrument resembling an old-fashioned stereoscope and manipulates the device to make the pictures fuse together. 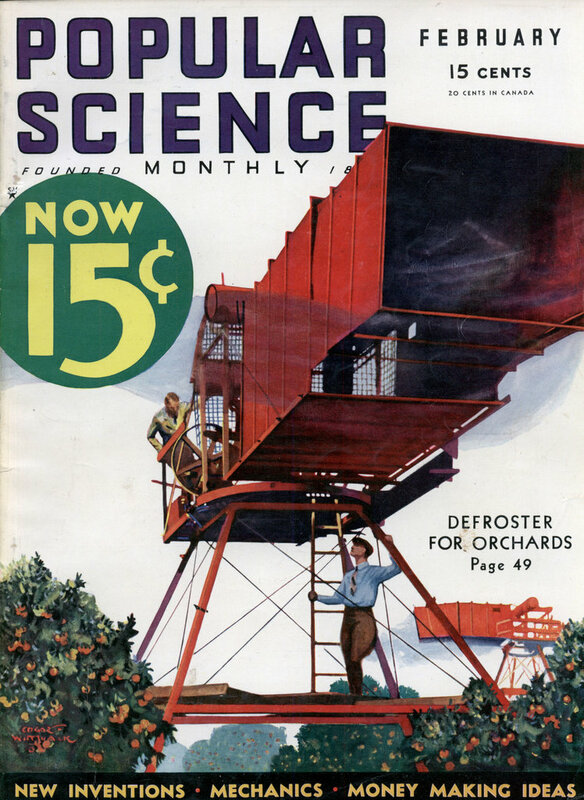 Thus he tries to trap a lion in a cage or catch a butterfly in a net. Through corrective exercises of this sort, a cure is often effected without recourse to a surgical operation, which hitherto was nearly always considered necessary. Teaching of a skill, for reducing the difficulties. That is a benefit to all people, when the fact we’re not unconditionally hardwired for failure. My right eye is crossed. Everyone makes fun of me, especially at work. Need help Desperately!!! my right eye is crossed. everyone makes fun of me. Need help desperately!! !